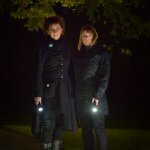 Ghost Hunt, Leicester Castle: EXCLUSIVE to Haunted Heritage. Come and join Haunted Heritage on our second visit for a Paranormal investigation at Leicester Castle. What you see today is the remain of a once important building where parliament was held. The Castle is situated in the west of the city centre. The hall is now encased in a Queen Anne style frontage. Over the castles 800-year history many powerful people have stayed here. Simon De Montfort was a powerful man who inherited Leicester Castle and became the 6th Earl of Leicester in 1208. In 1264 Simon De Montfort led the Barons’ rebellion. He defeated King Henry III to become the uncrowned King Of England. John of Gaunt, third son of King Edward III, inherited Leicester Castle in 1361. He was a solider, statesman and one of the richest men in England. He always liked Leicester Castle and made many improvements to it making it an extremely grand venue, he stayed here until his death in 1399. Leicester Castle was also besieged, captured and ransacked during the English Civil War by the Royalist under the command of King Charles I and Prince Rupert in May 1645. In 1821 the Great Hall was converted in courtrooms and used up until 1992, it was here where the trial took place for the famous Leicester’s Green Bicycle Murder. Today it is home to Leicester Castle Business Castle, part of De Montfort University. EXCLUSIVE to Haunted Heritage. This is our second time here to investigate 11thcentury Leicester Castle, where Chaucer and Richard III stayed, and later – as the city’s crown court – heard some of the most shocking crimes to be tried. On our first visit we was not disappointed! Cell doors shutting on their own, dark shadows seen by guests, K2 equipment off the scales… it doesn’t get better then this! 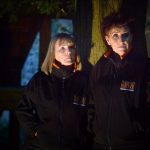 Turn yourself from an armchair ghost hunter to the real thing on this exclusive paranormal investigation at Leicester Castle, scene of the city’s executions, trials and imprisonment. Limited Tickets available. Upon your arrival at the Park you will be astounded by the magnificence of this 16th century mansion, which dominates the skyline. The mansion today is a natural history museum and events venue which is set in 500 acres of park land and overlooks a lake and stable block. It’s iconic image will be well known to most people from the midlands but what they wont know just how many hauntings have been reported over the years. Built between 1580 – 1588 by the Willoughby family, this ancestral home and its inhabitants have bore witness to key periods in British history. With links to Lady Jane Grey the 9 – Day Queen, the English Civil War and World War II, this venue has many stories to tell. There have been reported ghost sightings and paranormal occurrences for many years from staff who lived on site through to visitors and witnessed by the Haunted Heritage team. This is a large venue with a great deal of history to work with, a perfect location for Haunted Heritage. The Team are very much looking forward to working with this venue and its ancestors. A white lady has been seen exiting the rear of the Hall making her way towards to Orangery and then across to the stable block. Room 19 has had reported amber light illuminating doorways and windows but not one is there, one report even stated that the power to the hall was actually switched off at the time. Doors have been witnessed by the Haunted Heritage team to close for no apparent or rational reason. 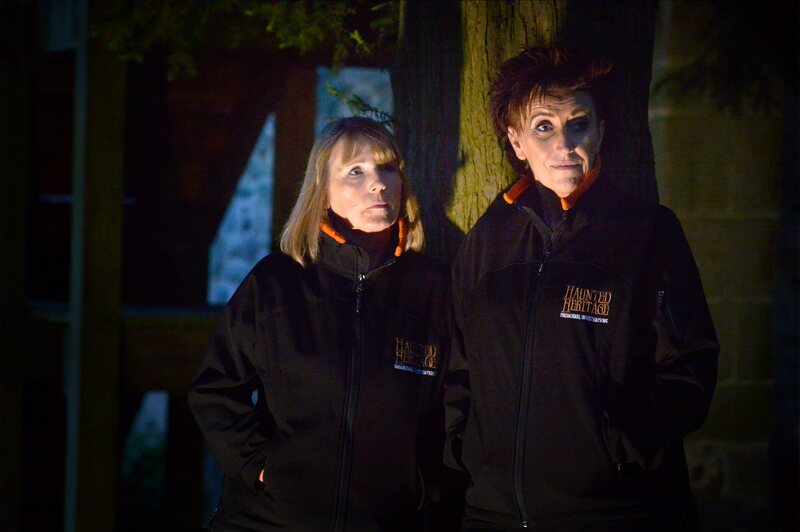 Michele Smith Co Founder of Haunted Heritage worked at the Hall and whilst in the stable block which is now a retail area heard on many occasions the noise of something heavy being dragged across the cobbled floor. One of the oldest building in South Derbyshire it dates ack to the 15th Century. The hall is a grade II listed building situated in the village of Church Gresley. Not a great deal is known about the building other than it was once owned by the Allyn family. The current building can be dated back 1556 (Mary 1 Queen of England), however it was built on the site of a former priory which would have been part of the dissolution of the monasteries 1536-1541. The surrounding area would have been a mix of coal mining and farming. There has been a mixture of reported activity at this location from monks, to young children, maids and farm workers….and the occasional dark entity. An apparition of a lady, said to be the ghost of a maid that burned to death by a fire, has been witnessed by many. During investigations guests have experienced hearing footsteps when no one was there, loud bangs, hair been pulled and people have been touched. In 1804, the Earl of Moira ordered for the construction of the furnace to take advantage of the amount of iron ore and coal that was present underground in the surrounding Ashby Woulds owned by him. In 1806, it was first opened and the blasting began. However due to continual problems the furnace closed 1811. Guest must be 18 years and over to attend this event. The foundations of this foundry can still be seen to this day on the grounds. The bridgehouse and the engine house were converted into dwellings and survived until the 1970s, when the buildings became so derelict that the engine house was demolished. The site was scheduled to become an ancient monument after pressure from Leicestershire Industrial History Society or LIHS. In 1981, the site was acquired by North West Leicestershire District Council and they sponsored a community project which was aimed to restore the site and develop it as a museum and country park. Today in 2019, the bridgehouse is now a museum run by the Moira Furnace Museum Trust, dedicated to the history and heritage of this once grand blast furnace. Haunted Heritage have been to this site on many occasions and have never been disappointed. We have experienced many paranormal incidents. On one occasion we had a locked off camera in the bridgehouse, when viewing back, the footage became distorted as though trying to focus, next there was a sudden jerk of the camera being moved! Another incident in the bridgehouse, while undertaking a ‘calling out’ session our medium picked the spirit energy of a man carrying a pitch fork, it some became apparent that this spirit was not alone and a strong sense of forebode resulted in the team leaving very quickly. Poltergeist activity is rife.. doors banging shut when no one is there and items being thrown. Are you brave enough to come and join us?